PNG sensation Richie Pandia was the standout performer to receive the highest honour as the Ipswich Jets players suited up for one last time in 2016. Ditching the skin-tight jerseys for a suit a tie, this year's Colts, BRL and Intrust Super Cup players joined the club's staff and supporters for the Jets presentation awards at North Ipswich Reserve. With plenty of new faces joining the club this year, there were some deserving award winners across all three grades. Despite exceptional performances from Fijian flyer Nemani Valekapa and barnstorming forward Jesse Roberts, Pandia took home the club's most coveted award on Friday night. In his third year with the club, the former West Papua Warrior was named this year's recipient of coaches best and fairest player of the year. Named after the legendary Ipswich halfback, the left-edge winger amassed points in 16 of the 24 rounds this season to finish well ahead of his teammates in 2016. Described by Jets co-coaches Ben and Shane Walker as a "consistent and very valuable player'' for the club, Pandia topped the team for line breaks and tries this season. "I was surprised when they called my name," the award winner said. "Normally it's been won by the forwards so I wasn't expecting it. I've been wearing it all weekend and I'll probably get it framed." In his third year with the Jets, Pandia said he had made a home in Ipswich. With support from his family back home, he said he'd be staying as long as possible. While it was the players chance to be recognised for their efforts on the field, it was Jets head trainer Dean Arbuthnot who was given the special honour of being named the Danny Coburn Clubman of the Year recipient. Joining former award winners Darren Lingard, Mark Bishop and Keiron Lander, the 52-year-old is still deciding where he will display the trophy. In the meantime, Arbuthnot laughed that he'd be keeping it on the bedside table at home. "It is something I am very proud of," he said. "I didn't know Danny myself but the legend definitely lives on at the Jets. He was known for his hard work. "When you have other people like Graham 'Chooky' Fowler and James Devin that work so hard, to win it with blokes like that around, is pretty special." A key member of the Jets support staff for the past five years, Arbuthnot said the family feel around the club kept him enjoying every minute. "It's like a big happy family," he said. "Everyone gets treated the same and we all get along. "You don't want to spend that amount of time there if you're not happy. When you walk past the lockyer room on game day we have blokes dancing and music blaring. The serious time for us is between kick-off and full- time but other than that there's always time for a bit of fun." Forever keeping a watchful eye on the Ipswich players, the head trainer wasn't surprised to see Pandia join him on stage for the Allan Langer award. "Richie won in a landslide," he said. "I think the closest guy was Jessie Roberts who played great all season too. "But for Richie to win like that, I just can't believe that we still have him and an NRL club hasn't snapped him up yet." Wes Conlon was honoured for his work off the field with the Keiron Lander Community Engagement award. Tattooed forward Nathaniel Neale proved a favourite amongst the playing group, named the Jets player's player for 2016. Rising stars, Billy Jackwitz, Shannon Hicks, Jacob Lindsay, Dale Ward and Shar Waldon a picked up honours for standout performances with the Jets Colts. In Reserve Grade, it was Ono So'oialo, Ben Sullivan, Rowan Winterfield, Peter Whittaker and Mitch Koina who were invited to the podium for the BRL side's grand final run in 2016. 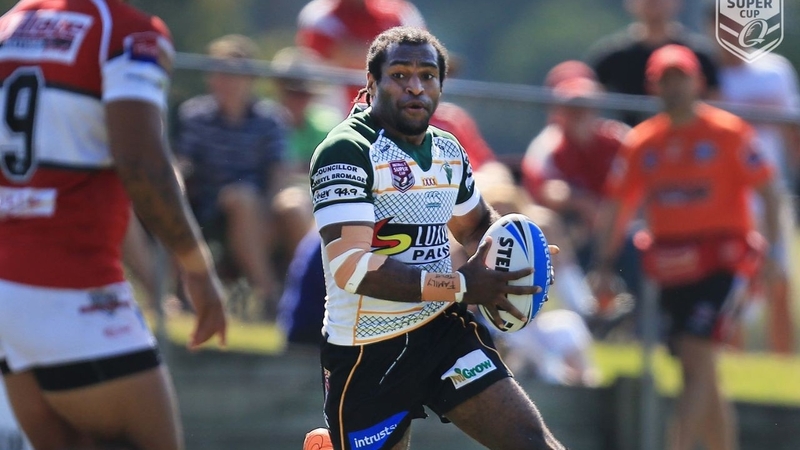 Fijian flyer Nemani Valekapa picked up best back for the Intrust Super Cup side. Warwick's Ben Sullivan named the club's best forward for the year. Kangaroo-catcher Michael Purcell was rookie of the year after a brilliant first season with the Jets. The young Charleville product has been a revelation on the wing and future Jets star.